Pizcadores uses the Sotol plant (Dasyliron Leiophyllum) from the desert region of Chihuahua, Mexico. The plant grows wild on the hillsides where rain is rare and temperatures seem infernal. Our Sotol is made with our delicate ancient hand-crafted process to achieve supreme quality, taste and special organoleptic characteristics expected by the most demanding and experienced critics. Sotol Pizcadores has been manufactured since 2010, however our ancestral process dates back to pre- Hispanic times, which includes a decoction of the heart of the plant with oak wood in underground volcanic stone kilns; a slow fermentation with native yeasts, and a double distillation at low temperatures in copper stills, further accentuating the fine flavors and scents typical of our agavacea. Sotol has its deepest cultural roots in Chihuahua, but the official denomination of origin extends to include the neighboring states of Coahuila and Durango. However, dasylirion grows as far north as Texas, Arizona and New Mexico and as far south as Oaxaca. Like agave, the sotol plant has a heart, or piña, that is cooked, but its leaves are waxy and don’t produce sap. Dasylirion grows wild in desert regions, requiring up to 20 years to mature, and there are 16 different species and 5 varietals used to make sotol. It is a very transparent plant because it gives you what it feeds on. Forest-grown sotols tend to be pinier, with notes of mint and eucalyptus, while desert ones have mineral, leather and earthy notes. 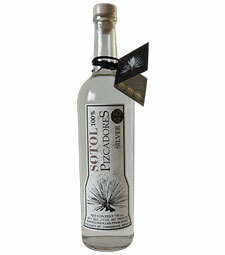 Sotol Pizcadores has been produced since 2010, harvesting the wild plants found in the region of Chihuahua. The Sotol plant takes 12-15 years to reach maturity. The heart of the plant is cooked in volcanic stone pits, hand crushed by a special axe and fermented with the sotol plant native yeast. It is then distilled in a double copper alembic still. The complex, smoky aroma with notes of citrus fruits, fresh floral and herbal essences lead to a strong, spicy and mineral taste accented by smoke and citrus. 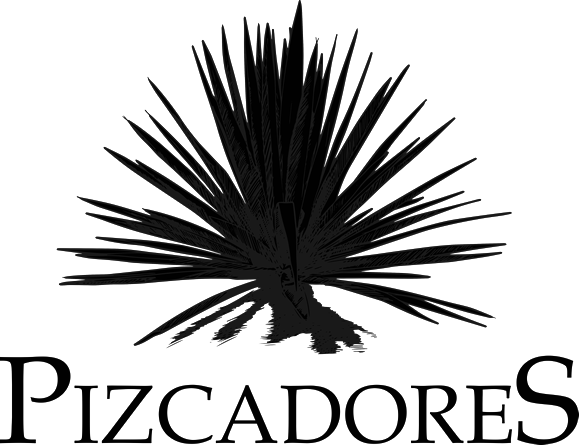 The Sotol Pizcadores Silver is distilled to 45% alc/vol to bring out the richness and depth of the of the wild sotol plant.